I am working on a second book about Charlene, Reeves, and Charlie and plan for there to be a third. In the last one Charlene will come into possession of Olivia’s fourth journal. But how? I haven’t found a believable way for that to happen. I am also working on another book about Olivia and Mourning, in which Olivia and her friend Michelle continue their business, making and selling paper dolls, playing cards, and post cards. 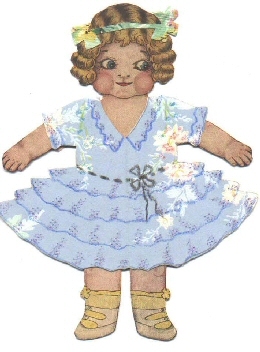 My great-grandmother and her sister supported themselves for a while making the Greenstreet Paper Dolls (shown in the image above) and my grandmother gave me a set of them. So when Olivia and Michelle started their business I scanned them and posted them online. 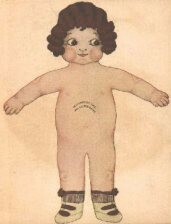 Then recently I received an email from a young woman who had recognized the Greenstreet Paper Dolls – because she also had a set. She turned out to be the daughter of one of my cousins, with whom I had lost touch. So in addition to how happy I am to be back in contact with my cousins, there is the solution to my literary problem. All Charlene has to do is wait for Facebook to get invented.